Portray a superb look by donning this Captain America Scarlett Johansson Jacket. This striking piece of clothing is taken from the super hit film “Captain America: The winter soldier” and inspired by Scarlett Johansson as Natasha Romanoff. Our designers have crafted this jacket to give you a chance to look more elegant and versatile. It is an ultimate collection to make a part of your closet. 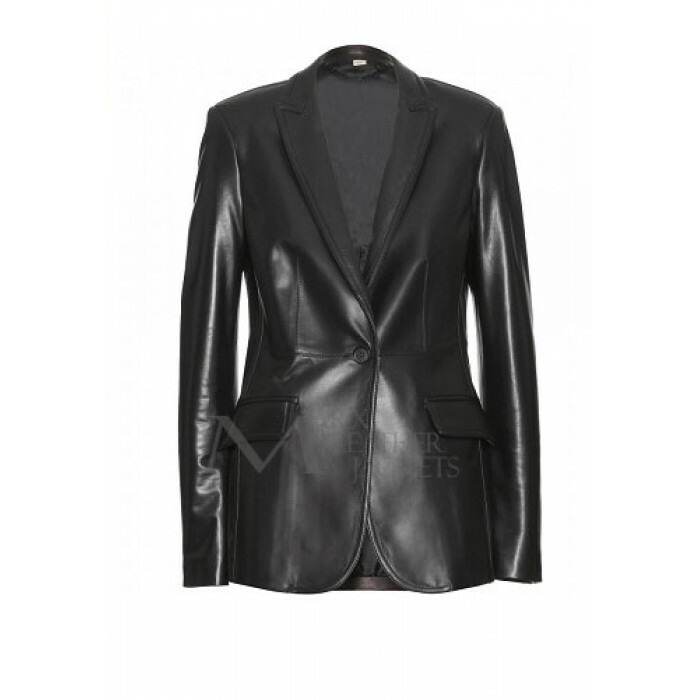 This speculator jacket is made of best quality and 100% real leather fabric. On the inner side has inserted the viscose lining for your comfort and ease. You can don this at any casual parties, hangouts with friends and especially bike rides with friends. By ordering this clothing, you will also receive free global shipping along with 30 days money back guarantee as customer gratitude.